Laughter Yoga or Laughter Wellness as it is also known, is a powerful healing modality which is simple, fun and filled with laughter that works simultaneously on the body, emotions, mind and spirit. Everyone can benefit, it is the sort of exercise where we decide to laugh, because we can and it is done without jokes or comedy. Laughter Yoga is a practice that always guarantees fun and success, the benefits of laughter are scientifically documented. To find out more about laughter, laughter in business, the benefits and Laughter Yoga packages and programs that are available. Go to Laughter Yoga. If you wish to download the flyer which covers Laughter For Living and the two laughter clubs, click Laughter Club Flyer Oct 2018. If you are at a time in your life where you feel flat, stressed, seeking more and need a shoulder for support, you have come to an empathic, qualified and experienced person. Support may be in person or telephone and a one-off, or several over a a month or several months. Read more: Personal Growth. Complimentary phone meeting is offered to you, learn more here. Services available are sessions and workshops in Laughter Yoga, two free community Laughter Clubs, support in Life Coaching or Holistic Living Counselling, and also classes and workshops in Laughter Yoga and Personal Growth, Energetic Hygiene and Self Mastery. 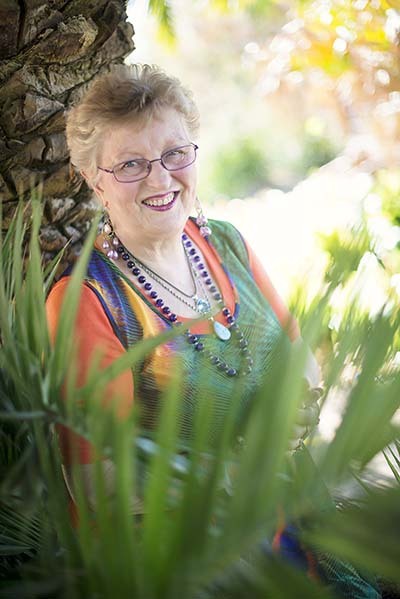 Lynette Mitchell, Laughter Yoga Teacher in Ferntree Gully smiling because doing so gives the body a positive subliminal message of good health. All information and data gathered on this website is securely managed and is not passed onto any third parties. All information, pictures and material are the intellectual copyright of Lynette Mitchell. All contents on this website is subject to copyright law. Copyright© Lynette Mitchell – all rights are reserved 2019. We have no responsibility or liability for the content and activities of any third party linked sites.